We’re excited to announce the D2 Charlie aviator watch, an elegant and functional timepiece that boasts global navigation information, rich and colorful moving maps and a host of connectivity options. Designed with pilots, aviation enthusiasts and aspiring pilots in mind, the D2 Charlie aviator watch features real-time worldwide weather radar, as well as airport information that includes frequencies, runway information, weather data and more. Garmin Elevate wrist heart rate technology also allows customers to measure heart rate 24/7 alongside daily activity tracking. Whether climbing into the cockpit, playing a round of golf or in the boardroom, using the new QuickFit bands pilots can easily switch between the stylish titanium or leather bands to a sporty silicone band in seconds to suit style preference. Aviation-inspired signature accents along the bezel and a unique feature set tailored to aviators bring additional functionality to the cockpit. A colorful, dynamic moving map incorporates key landmarks, such as airports, navaids, roads, bodies of water, cities and more, offering improved situational awareness. Dedicated direct-to and nearest buttons along the side of the bezel allows for immediate navigation commands. 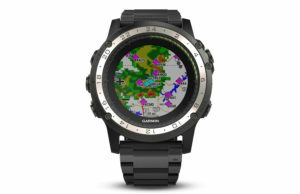 When the D2 Charlie is paired with Garmin Connect on a connected mobile device, customers can view weather radar on top of the map display relative to flight plan information. To easily access local weather radar, pilots can simply press and hold the direct-to and down buttons. Pilots can also overlay estimated time enroute, universal coordinated time (UTC) or other pilot-selectable data fields overtop the map so it’s easy to monitor the progress of a flight and view pertinent flight information simultaneously. D2 Charlie offers a bold design made of premium materials, including a sapphire scratch-resistant crystal lens and a diamond-like carbon coated titanium bezel for improved durability. Thanks to the new QuickFit bands, pilots can mix and match between their choice of titanium or leather and silicone watchbands and switch between them in seconds without tools. A sunlight-readable, high-resolution color display with an LED backlight on the watch face allows pilots to view data in most lighting conditions in the cockpit. The D2 Charlie offers up to 20 hours of battery life in GPS mode and up to 12 days in smartwatch mode. Weather radar over feature within D2 Charlie. An advanced, standalone navigator, the D2 Charlie aviator watch incorporates exclusive navigation functions and capabilities that aid in navigating. New airport information pages display communication frequencies, runway information (including dimensions and surface type), weather data and more for a specified airport. The flight log page allows pilots to conveniently reference recent flights at their wrist, displaying date, flight duration, total distance and more of a particular flight. Additionally, improved flight planning capabilities include the option to add multiple waypoints within a single flight plan and the ability to navigate direct to any waypoint in a flight plan. Comprehensive integration within the Connext ecosystem sets the D2 Charlie aviator watch apart from other aviator watches on the market. When using the Garmin Pilot application on a compatible Apple or Android mobile device, pilots can wirelessly transfer a flight plan to D2 Charlie. 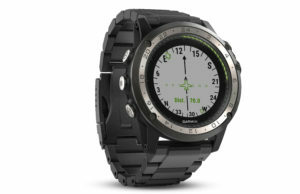 GPS data from the watch can also be shared and used by a tablet or mobile device using Garmin Pilot. D2 Charlie also features automated flight logging, which initiates the logbook function to begin recording when a change in altitude is detected. 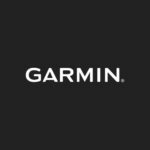 Information such as date, total flight time and route are automatically recorded and logged within the watch and synced across the flyGarmin website and the Garmin Pilot app. Remote control of the VIRB Ultra 30 action camera, as well as the VIRB 360 is also available using the D2 Charlie aviator watch. The D2 Charlie aviator watch comes preloaded with a full multisport toolset for running, golfing, cycling, swimming, skiing and more. Whether customers are in the cockpit, at the gym or on the golf course, Garmin Elevate wrist heart rate technology provides 24/7 heart rate monitoring, without the need for a chest strap. Water rated to 100 meters, it can also withstand swimming and other water activities. In addition to a variety of sport profiles, D2 Charlie incorporates activity tracking functions, which counts steps and provides a customized step goal each morning, while also counting calories and distance throughout the day. It also features a vibration move alert after one hour of inactivity and sleep mode to monitor quality of rest at night. Boasting a variety of connected features, the D2 Charlie merges style and sophistication into a single timepiece. When paired with a compatible smartphone, customers can view phone calls, text and email smart notifications3 at their wrist. Two built-in aviation-tailored customizable watch faces allow pilots to input the tail number of their aircraft. D2 Charlie is also compatible with Connect IQ so pilots and aviation enthusiasts can further customize their watch with apps, widgets, data fields and watch faces. 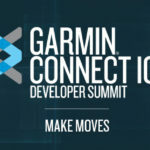 Customers can even personalize the watch face of their D2 Charlie with a favorite image such as a logo or photo of their favorite aircraft thanks to the Garmin Face It app that lets customers create a watch face using a JPEG image. The D2 Charlie aviator watch is expected to be available at EAA AirVenture in Oshkosh, Wisconsin, July 24-30, 2017 for a suggested retail price of $799 for the leather band and $999 for the titanium edition. Both versions of the D2 Charlie also come with a sporty silicone band. The D2 Charlie aviator watch also comes with free lifetime aviation database updates. Visit the Garmin exhibit at EAA AirVenture for additional information. To learn more, visit www.garmin.com/D2Charlie.